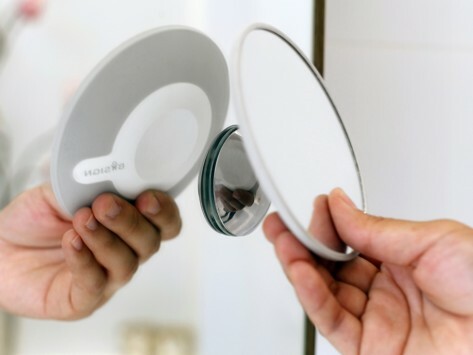 Best magnifying mirror on the market! Great mirror for my wife . Love the magnifying mirror! Perfect size. Great product - would buy again. This 2-piece mirror has a secure, stainless steel base and a removable magnetic mirror that pivots for the perfect angle. It adjusts easily to different heights and different people. Tuck it away for a clutter-free vanity. Compact and portable, you can also take it with you when you travel.